I just found out that a shop down on S.Orange Ave. will be doing a "Brick-out" tonight. Tha address is 4990 S. Orange and it starts at 6 PM. It's always a BLAST when you get to watch a motor grenade! Ok so the 22nd, this weekend... everyone still plan on going to this? -WHY can't it be Sunday? Well, it runs from about 9AM till 3 or 4pm, so you have a big window to stop by even if for a little while. Elliott, go ahead and get them out there. Looks like dem 924 blocks is tuff to kill! Keith, hire a limo to pick her up! Or a cab, a towtruck, something! what time do all the non-racers plan on getting there? 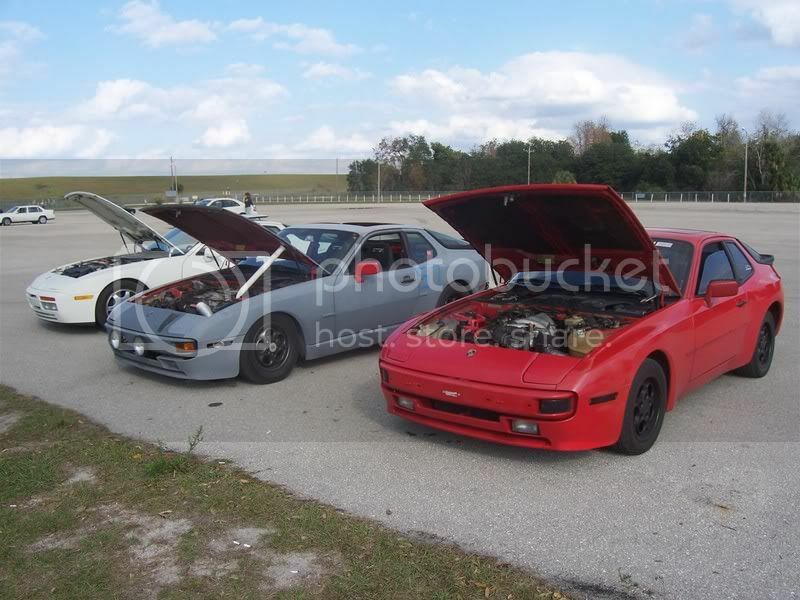 If I cant race I still plan on coming out at some point, and hopefully we can get a good line of 944's in for a photoshoot again. I've got my helmut, gloves, airtank and tire gauge but I don't know the time. Looks like I'll show up around 7 to see what I can do to help. Keith, did you see the rear bumper on the Cup car? Seems like it got really hot last weekend @ Sebring! that conjures up an image or seven!!! 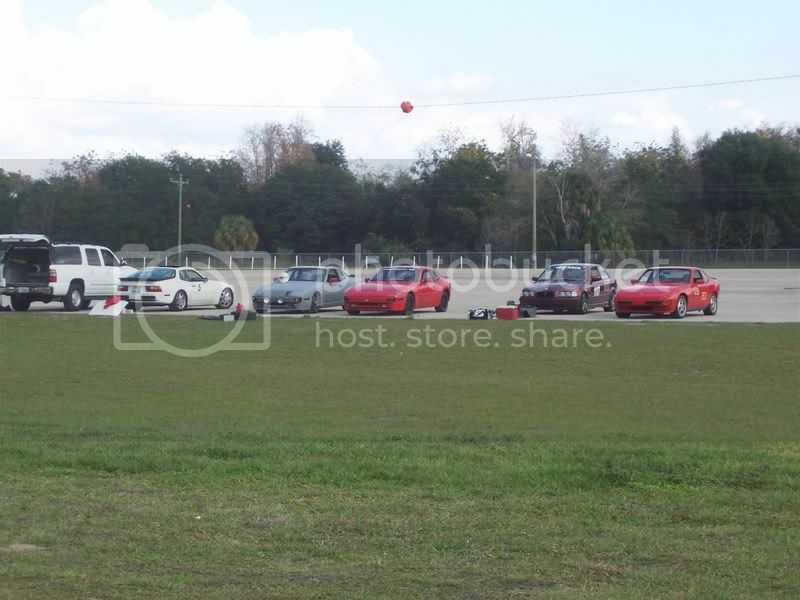 We'll be using the regular autocross lot this Saturday (as opposed to the mini-road course). Recommended arrival time is between 7-7:30am. Steve, hope you make it out, it would be good to actually meet you! Let's hope the weather holds out. 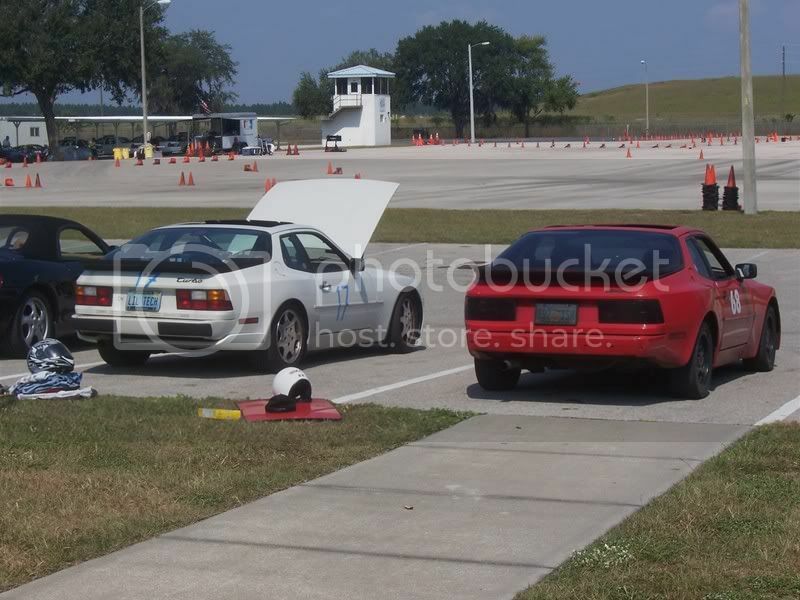 On a autox side note, the Martin Sports Car Club Fall Mini-Prix is Saturday Sept 29 on the Gainesville test track. Hold on guys... I'm working on a plan!!! What time are the rest of you guys getting there..? I think I'm going to have to skip out on racing this time, cant afford it... so I'll probably show up a little later on. I want to get a nice line of our cars together for a photoshoot type thing... would be pretty cool. Is anyone else going to be there @ 7 sharp or are you a bunch of pillow queens that need your beauty rest? Now, I'm not really trying to shame any of you (heavens no) to get the lead out!! Seriously, looking forward to placing a face with the names and having alot of fun.